Normally I’m a craft beer or Michigan wine kind of girl. But when this Sunday Supper theme was “welcome spring,” I knew that I wanted to do something with violets! They are always the first flowers to pop up in my yard. Now, after doing some research, I realized that there is no way I could ever pick enough to actually make my own violet liqueur. Luckily you can buy it. So, welcome spring by taking the time to mix up this delightfully spring concoction. Dry shake all ingredients for 20-30 seconds. Fill shaker with ice and shake vigorously to chill. Strain into a cocktail glass. The Verdict: I was a little wary of the cream and egg, but it added a nice fizz. This is my new go-to spring cocktail! Also, if you’re wondering what to do with any of the leftover violet liqueur, I discovered that it is spectacular with hard cider! 3/4 ounce of violet to 4 oz of hard cider. 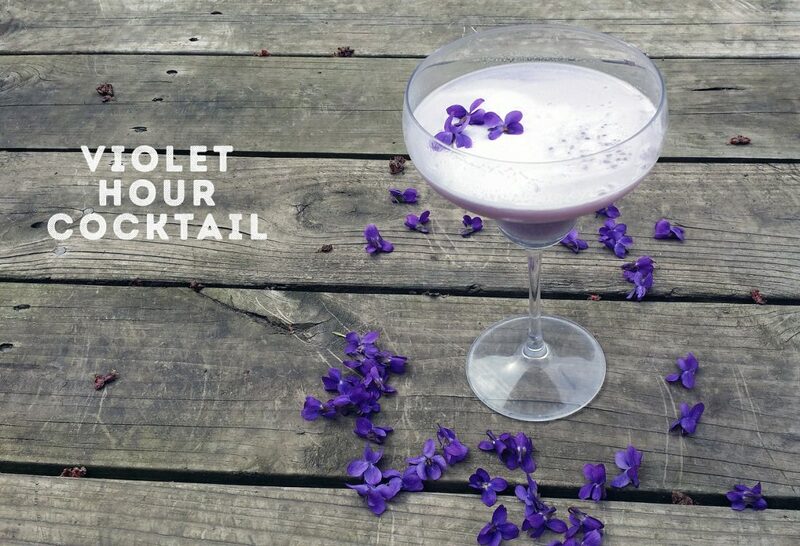 This violet-inspired cocktail is the perfect welcome to spring. Looking for more spring recipes? Check out these Sunday Supper links! Carrot Oatmeal Raisin Cookies by What Smells So Good? « FREE Webinar: Garden Like a Ninja! Violets. Oh. What a beautiful idea. So good. I’m not sure I know what the flavour of a violet is. Now I’m curious. I’ll keep my eyes open and ask around for the liqueur. Thanks! 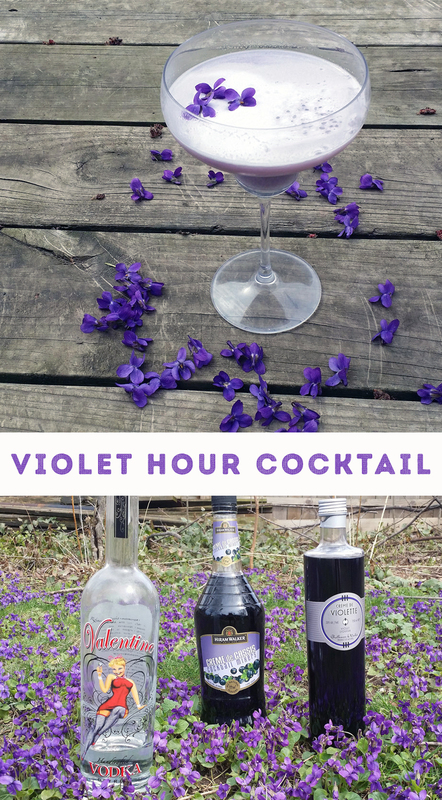 I have never heard of violet liqueur but your post has got me wanting to give this a try! WOW you have violets!! They’re so gorgeous, I wish I had them in my yard. This looks intriguing, I’ve never had violet liqueur before. This is so beautiful. I love candied violets and I can imagine what the liqueur would taste like. SO pretty! We have violets in our yard now toO! Perfect time to make this. These are gorgeous! What a great excuse to have the girls over for a drink. They will love this! Never heard of or tasted violet liqueur, but you have me wanting it something fierce! This is a new combo for me, but I am interested to try it! Cheers to spring! What a beautiful color for a drink! I don’t think I’ve ever seen creme de violet. You can bet I’ll be looking for it though!! SO I can make some of these at my next party. I’m always happy to see the violets in spring! I do enjoy a good spring craft beer too ;)! Violets are my favorite flower! Love their purple color! Such a a pretty party drink!